As we rush headlong into the season to be jolly, hundreds of venues from all across the country are hosting festive events to get us into the spirit. But we know that being forced to change your loved ones on a bathroom floor doesn’t feel particularly cheery. So, we’ve picked out a handful of events that offer Changing Places. We’re sure there are loads and loads more out there, so if you know of a good one coming up,help us spread the word with #IncloosiveFestivities. Delight your little ones with a treat for the senses from the Royal Albert Hall. This very special one-off concert brings two classic tales to life through a mix of live music, narration and cinema. In the first half, the story of Paddington Bear’s First Concert is narrated by Stephen Mangan, alongside an enchanting score performed live by the Royal Philharmonic Orchestra. In the second half, the orchestra also provides live music to accompany the animated film, The Snowman. One for festive shopaholics, Birmingham’s Frankfurt Christmas Market has been attracting visitors from all over the UK for a decade and a half. Visitors are tempted by traditional German food and drink as well as handmade jewellery, toys and decorations. And if that doesn’t put you in the festive mood, maybe the live music will. Start 2019 with a bang with a dazzling light display above the North Sea. This annual event is completely free to the public and is funded entirely through donations. Organisers are also providing a temporary Changing Places to ensure everyone to join in the fun. It may not be a traditional festive tale, but this story of a girl who’s granted her wish by the moon and stars themselves is guaranteed to bring seasonal cheer. This special theatre performance is aimed at under-5s and is told through a magical mix of music, light and imagination. The perfect festive treat. Get crafty at the majestic Elvaston Castle with a hands-on wreath-making workshop. Using only materials gathered from the grounds, you’ll learn how to use traditional methods to create your very own seasonal wreath to take home. We’ll bet your front door will have never looked better. Experience the world-famous biomes as never before. The Eden Project’s all-new series of after-dark events provide an audiovisual bonanza. Explore the forests and gardens as they’re bathed in a spellbinding mixture of light, shadow and intriguing soundscapes. Why not take a walk on the wild side this festive season with a visit to Marwell Zoo? Explore the grounds to meet resident tigers, leopards, penguins, elves and more. Yep, we said elves. Father Christmas’ cheeky helpers will be on hand to help spread festive cheer, along with the big man himself, of course. 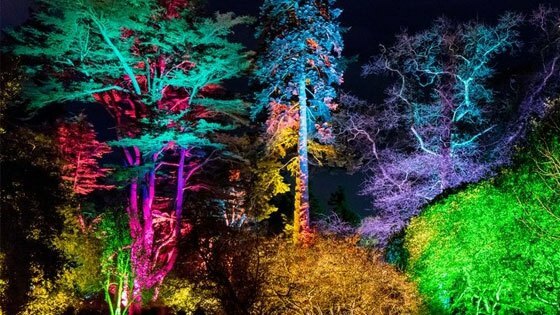 With beautifully-lit buildings and gardens fast becoming a staple of the festive season, it’s no wonder that Westonbirt is our second illuminated event of the list. Tread the arboretum’s enchanting trail to take in the magical displays that dance across the treetops. Away from the forest floor, a dedicated Christmas village welcomes you into a world of arts and crafts, choral music and traditional fairground rides. Packed to the brim with firm festive favourites, this candlelit concert is the ideal opportunity to dive into the seasonal spirit. 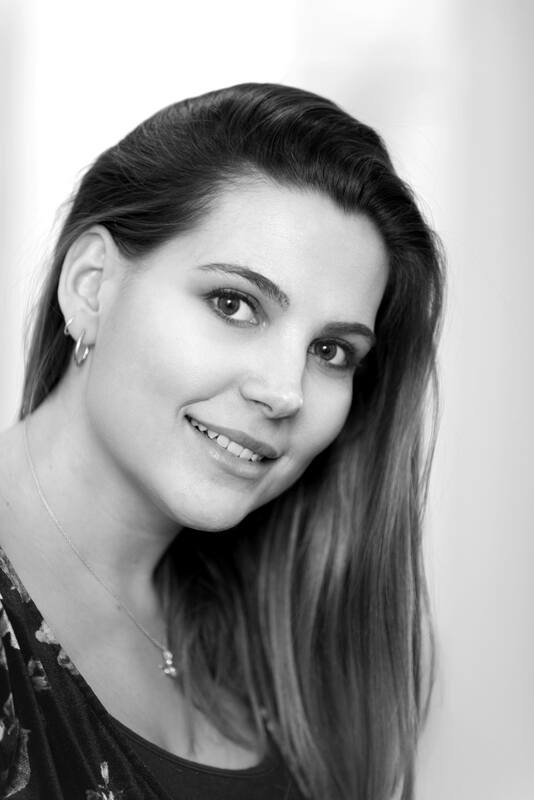 Enjoy powerful solo performances as well as rousing numbers from the Chamber Orchestra of Wales and the Chorale. A full day of festivities awaits at the glorious Hylands Estate. Browse a wide range of locally-produced fare and handmade crafts, soak in the seasonal sounds of the choir and explore the grand house itself – open to all free of charge for one day only.